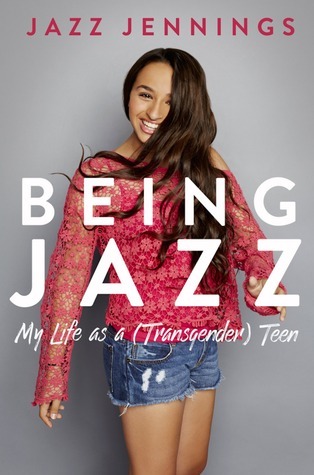 Jazz Jennings is a trans woman, YouTube celebrity, spokesmodel, activist, and author of the picture book I Am Jazz. She has a docu-series about her life also called I Am Jazz on TLC, which started airing in July 2015. She was named to Time’s “Most Influential Teens” list two years in a row, was one of Huffington Post’s “14 Most Fearless Teens,” and was the youngest person ever featured on Out’s “Out 100,” as well as on Advocate’s “40 Under 40” list. In 2014, she was named a Human Rights Campaign Youth Ambassador and received LogoTV’s Youth Trailblazer Award. Jazz also hosts a series of videos about her life on YouTube and is the face of Clean & Clear’s latest ad campaign. You can follow her on Facebook, on Instagram, and on Twitter at @jazzjennings__, or subscribe to her YouTube channel. We were so excited to learn that Jazz was going to be at #BEA16. We didn't get to see her which was sad. But we did still get to get her newest book Being Jazz. This book was a great read and will get you to follow your dreams. It will tell you to Don't apologize for being different and to be true to yourself. Which sometimes is one of the hardest things to do. We have been a lover of the her show I am Jazz since it started and seeing some of the things that this child has had to go through makes me sick. From people telling her that she is a freak to people calling the house and leaving messages saying that she should be killed. My only thought is what is wrong with these people. This book and little girl are an inspiration to all! I think this would be a great book for schools to use about tolerance, bulling and, accepting people for who they are. We loved how the chapters started out with new pictures. It was as if we grew right along with Jazz in her struggles and triumphs. We can't wait to see the rest of her journey! For Jazz: If by chance you read this. Never give up!! Were with you!